Home announcements Apple Application Review Special Offers Find Out Instant Nearby Deals With Leloca For Free! 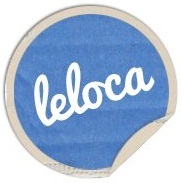 Find Out Instant Nearby Deals With Leloca For Free! We’re proud to introduce the winner of our Weekly Free App Poll – Leloca App by Leloca LLC! This free instant deal finder helps iOS users to choose an empty table at a popular nearby restaurant and save 30-50% without the need of any prepayment or a booking fee! With a mission to help users save money while discovering new places, thus assist local businesses increase profits and reduce waste, Leloca is not only beneficial for the users - this is the only free app that offers win-win deals for merchants and customers as well! This is how the app benefits both parties: when a restaurant near you has an empty table, it still pays is paying rent, utilities, staffing and other fixed costs. However, if your stomach is empty as well, Leloca notifies you about the free table next to you, thus giving you a great deal, while the restaurant gets profit and reduces waste! • Never have to enter your credit card number. Just download the deal and head to the fun. Here is how the app works: You download and run the Leloca app; choose an empty table at a popular nearby restaurant, with a discount of about 30-50% and get the deal code. You then have 45 minutes to present the deal code after downloading it. However, downloading the deal code is free of charge. With the latest Leloca version of 1.6 you get enhanced notification and tweet functionality, deal listing according to cities (without allowing location detection) and some major design enhancements. 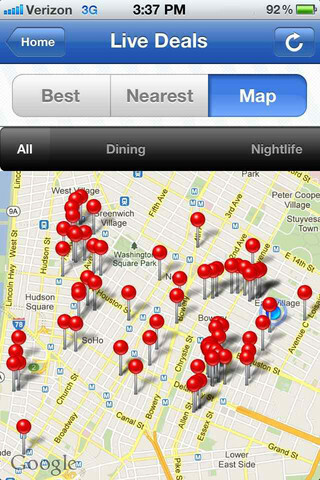 So go and grab Leloca for your iPhone for FREE and never miss the great deal next to you!